Do you need to hire an internet marketing firm? Is it time to hire an internet marketing expert? There is a lot of internet marketing you can do on your own, so what is the difference between DIY and professional service and when is it time to make the switch? Many business owners undervalue the power and importance of internet marketing. Other business owners see the internet as a mystery and do not understand how to put use it properly to help their company. Then, there are those business owners who do realize the power of the internet and attempt to market themselves on the internet but are not succeeding to their full potential because they are unable to understand the complexities of internet marketing themselves or are not allocating enough time and resources to their strategies. However, downplaying the importance of the internet is a critical mistake that results in lost business and exposure. A portion of internet marketing can be done by the business owner himself and still produce results. Understanding basic components to building a website like content marketing, color theory, and logos can be a start. An individual may also learn basic principles of using search engine optimization, social media, and more to do some internet marketing for himself. 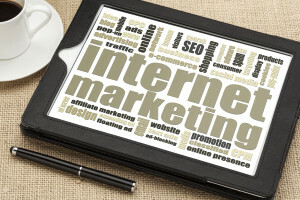 There definitely are opportunities for business owners to do an extent of internet marketing themselves, along with chances for business owners to learn how to market themselves, like through the free seminars that Naperville internet marketing and web design company Design & Promote offers. Ultimately, the difference between an individual doing his own internet marketing and outsourcing the work to a professional internet marketing firm is seen by the significant difference in results. Nearly all businesses can say that they have a website but only a small number of those actually bring back business. This is because having a website or even an appealing website is not enough; websites do not create business simply by existing, they must be marketed in the right way. Any business looking to create an internet marketing strategy must carefully consider search engine optimization, social media, website design, graphics and logos, photography, newsletter and email marketing, and other internet marketing strategies. Internet marketing firms use a plethora of web design and marketing strategies to not only create a presence on the internet, but to get more visitors and leads and turn them into clients. Even ordinary web design companies are not able to get these results for a business, as internet marketing firms have a specialized understanding that ties marketing and business into the online world. The important aspect to grasp about internet marketing is that it is a process, not a result. A business must be continually promoted and updated on the internet to stay relevant and deliver results. Internet marketing firms do not work to merely deliver a product, they continue to work with the business after the design and marketing has occurred to update and continue to promote the brand. Internet marketing delivers long term results and improvement occurs gradually, month after month as the brand and business grow. The monitoring of this process is one of the main reasons why a business owner should invest in an internet marketing firm for the company. An internet marketing and SEO firm will work to build a product and monitor it along the way for you to ensure that you are seeing results from your investment. So, is it worth hiring an internet marketing firm over doing your business’ online marketing yourself? In the end, it is worth hiring professionals to do your internet marketing- search engine optimization, web design and graphics, social media marketing, branding, and more- if you are looking to see lasting, long- term results from your internet presence. An internet marketing professional will dedicate a team to work solely on your brand’s internet marketing and get you to achieve new heights in terms of clientele and brand exposure. Discover more about what an internet marketing company can do for you by contacting us or learning more about us on our site.